Offering care to all ages from newborns to seniors, “We strive to offer the highest possible standard of care in natural healing and to be your advocate as you reach your health goals,” says Medicine Hat chiropractor, Dr. Corissa Audren. With competitive fees and a convenient location, Audren Chiropractic Wellness Centre focuses on chiropractic care and additional advanced therapies to get you the best care you need to heal. We get excited when patients like you are proactive about taking care of themselves. With chiropractic care as a base, we’ll offer a customized plan to help you reach your health goals and truly live out a wellness lifestyle. From pregnancy care to pediatrics and even pets, our gentle care and passion for natural healing can help your whole family achieve true wellness. 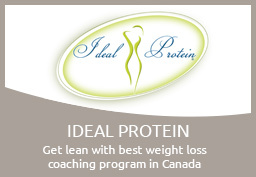 As the FIRST to bring the elite Ideal Protein Weight Loss Program to Medicine Hat in 2009, we’ve helped over 600 people lose more than 36,000 pounds to date! In addition to more than 1000 hours of Functional (Advanced) Neurology and 350 hours of Traumatic Brain Injury training, including special studies on Movement Disorders and Clinical NeuroChemistry, we care for patients from near and far to help them heal and rehabilitate. Dr. Audren is one of only five Alberta chiropractors (3 in Calgary) to complete the Traumatic Brain Injury program developed by Dr. Ted Carrick of the Plasticity Brain Center. Ready to discover wellness and feel your best? Come see for yourself why 95% of our patients are referral-based and experience healing through gentle care at Audren Chiropractic Wellness Centre. I found Dr. Audren as good of a listener as communicator - looking forward to becoming migraine free! For a first timer to chiropractic work I was amazed with the care I received. I can't thank Dr. Auden enough for her help. Looking forward to receiving further care. Highly recommend! For seven years Dr. Audren has taken excellent care of me through many surgeries and other issues. I have recommended her clinic to many. Thank you Dr. A! I was very impressed with the new methods of treatment and how many medical procedures can be avoided. 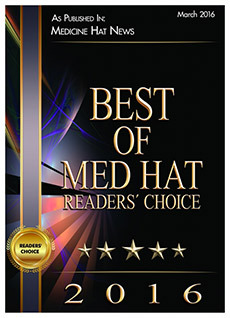 Read more of what our patients have to say on our Patient Reviews page!